The Meinl GX-12FCH Generation X Filter China 12" is a 12" china cymbal made from a hand hammered FX9 bronze alloy (69% copper, 15% manganese, 15% zinc and 1% aluminium) with a traditional finish. Meinl's innovative and award-winning Generation X series cymbals pave the way to a completely new world of revolutionary cymbals. These china cymbals create sounds that are consciously different and aimed towards advanced, experimental and unconventional drummers who are motivated to explore new sound territories. The GX-12FCH creates a fast, sharp and almost sinister sound. Faster than most chinas, they have a short sustain due to the waved edge. 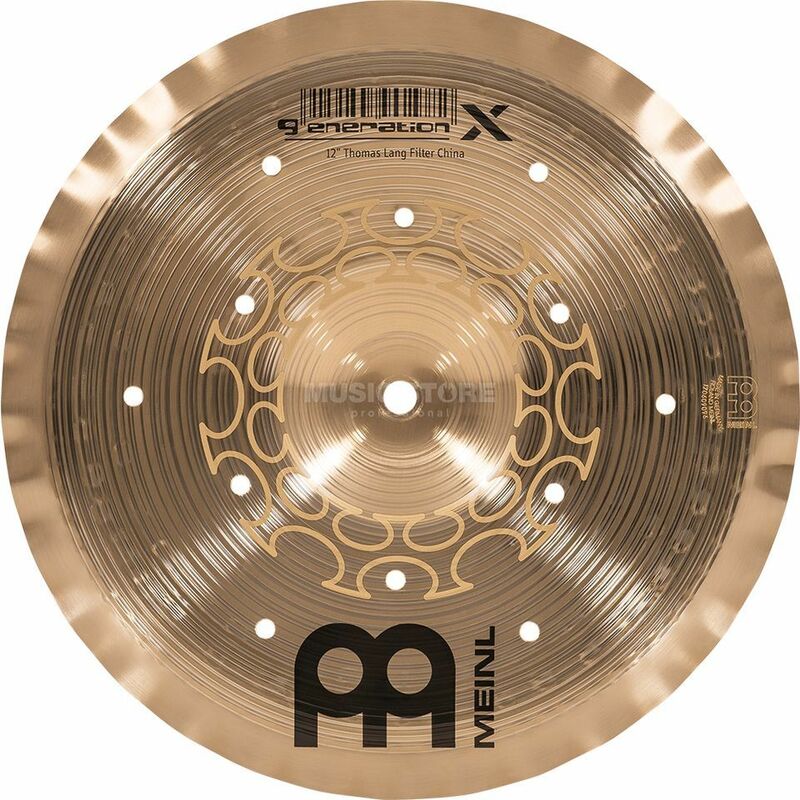 Them ain features of the Meinl GX-12FCH Generation X Filter China 12"
I think this cymbal will become a stack favourite. On it's own is a bit meh.